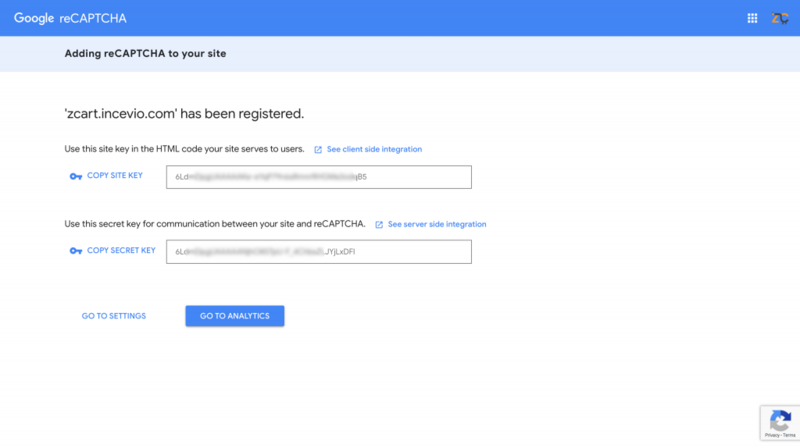 You need to register your domain with Google recaptcha site. You can do it from here. Add your domain name and choose reCAPTCHA v2 and then "I'm not a robot" checkbox. 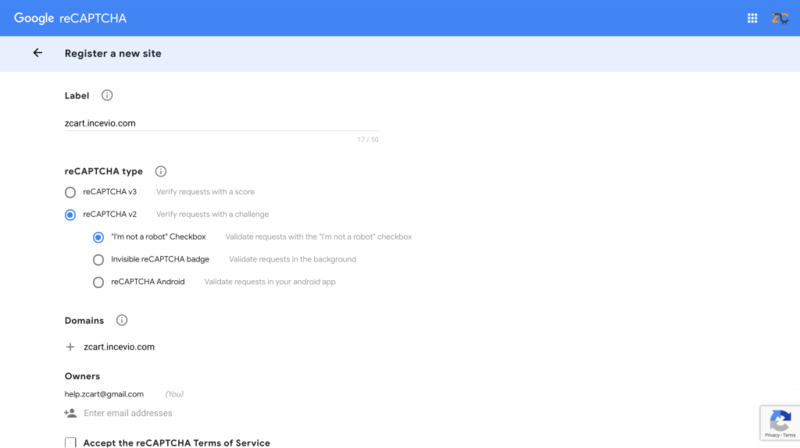 Submit the form and on the next screen, you’ll get the site key and secret key you need to configure the reCaptcha. Once you have your Google reCaptcha Site Key and Secret Key let’s add those to our .env file. Open the .env file and update the GOOGLE_RECAPTCHA_KEY and GOOGLE_RECAPTCHA_SECRET with the values you got from Google. You’ve configured the Google recaptcha. Now your site is protected from spam emails.